All Ways Up have one doozy of an album with their newest full length. 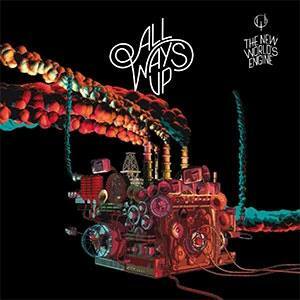 All Ways Up, a Spain based Punk band, released their full length album in the beginning of this year. Let's dive on in and see what they're all about. The single "The New World's Engine" kicks things off in catchy fashion. The verses are timid compared to the high octane chorus. It's a refreshing sound and begins the album off on a high note. "Boring America" is bouncy and Pop Punk at its core. There's a tad of Ska to it with the riffing, like Mighty Mighty Bosstones feel to it. "The Voice" featured dual male/female vocals and really shines with its intent. The track features tons of depth to it and has a sound to it that just sinks its teeth in and doesn't let go. "From Alcohol and Cigarettes" has a controlled chaos feel to it. While it's still bouncy like the previous tracks, there is a bit more Rock feel to it. "Mary Jane" continues the more Hard Rock vibe. The track's vocals are something unique and will really attract the Rock crowd pretty well. "Follow" is fast and unapologetic. It brings to mind the early Green Day sound. It's a fantastic track to just lose yourself in. "Give Me More" keeps the energy level at a maximum. The track has a Rock feel to it but the chorus is where it really takes off. It;s a single in the making, that's for sure. "Why" slows things down quite a bit. The track is an emotional journey and should be listened to with the volume cranked all the way up. "Tell Me" gets the pace back up. The track is super catchy and has riffs for days. "Deviced By Society" takes things to an entirely different level. The track has some bite to it and fans of old school Punk Rock should really dig it. "Save Me" starts off slow but erupts with a crazy energy that needs to be heard to be believed. It's an acquired taste of a track but it should please Rock fans with ease. "Vendetta" is two minutes of Punk bliss. It's everything that Punk fans will eat up for a long time to come. "Fight" has an opening that is pretty dynamic before blasting full speed ahead into the All Ways Up signature sound. It's a stunner of a track and should be heard as soon as possible. "Lost Soul" is the longest track on the album. The track has its heart on its sleeve as it leaves a lasting memory on the listener. "Paper Colored Flowers" wraps up the album perfectly. The track will leave the listener salivating for more. It's rare that someone said "fifteen tracks aren't enough" but you will after hearing this impressive album.